Lulu's Garden: Garden Playhouses, The Vialii Way! If you are an avid follower of our blogs (and why wouldn't you be?!) then you will be aware that we love a wee upcycling project at Vialii. And these projects are my VERY favourites that we have ever tackled. 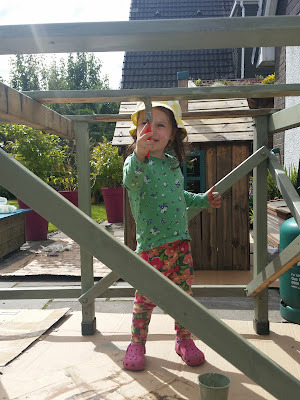 Welcome to the Vialii Playhouse Makeover! 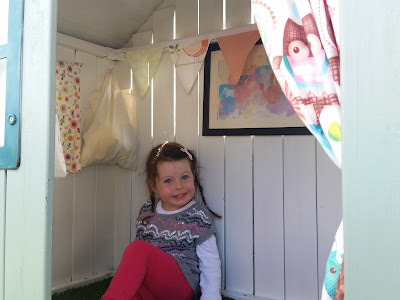 I LOVE my new playhouse! 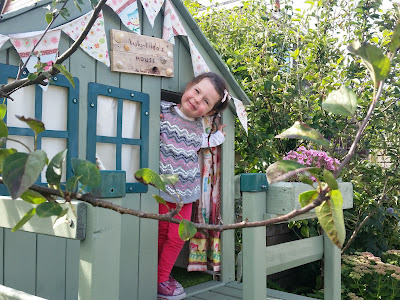 M&D are designing a garden for friends at the moment and tucked away in a corner of their garden, no longer used, was a playhouse which these (very lovely!) friends said we could have. 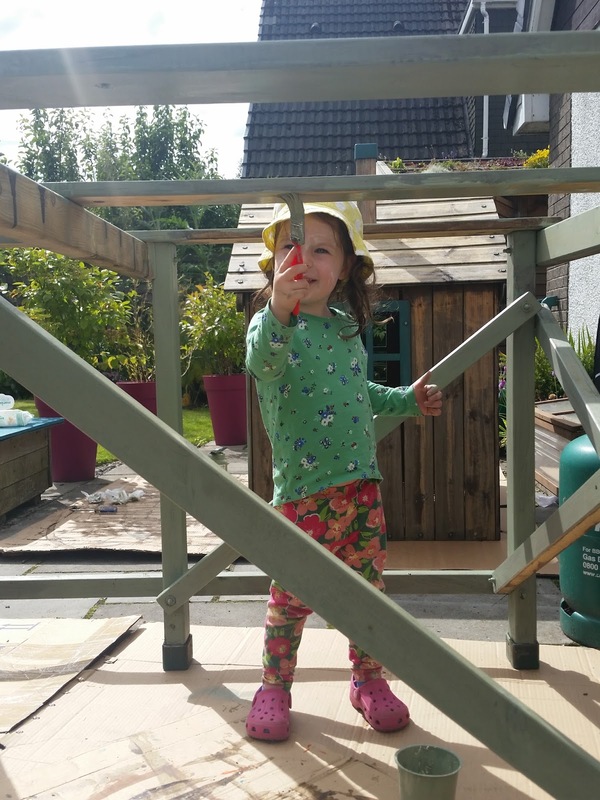 As this saved Daddy the job of making our own playhouse, he now had the time and energy to help me and Mummy give it a bit of a makeover. After a bit of a jet wash and sanding down, the old playhouse was ready for some painting. 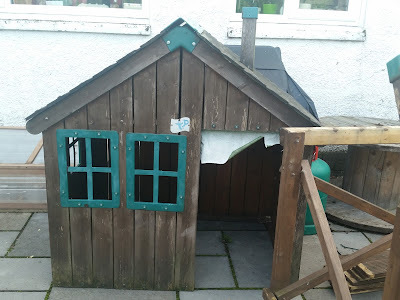 I chose some lovely green paint called Willow for the outside and off-white for the inside to make it nice and bright. 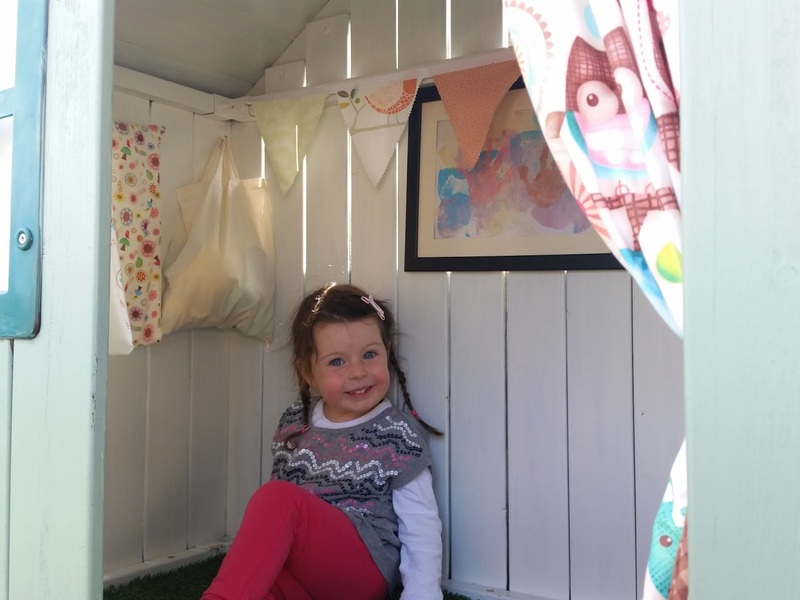 We tucked the playhouse in one of our borders so that it doesn't take up too much space. We just needed to move a few plants. The view from inside is lovely, across the garden the fields and up to the Ochil Hills. 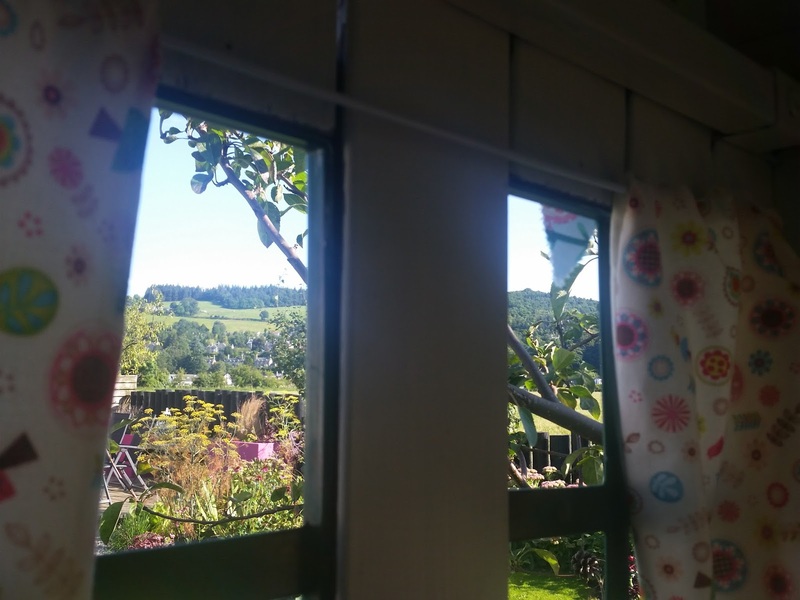 My clever mummy made curtains for the windows and door and some bunting for inside and out. I hung a beautiful painting I made at nursery inside and Daddy laid some artificial grass inside which looks like a green furry rug! The inside all painted, my furry rug, artwork and curtains! 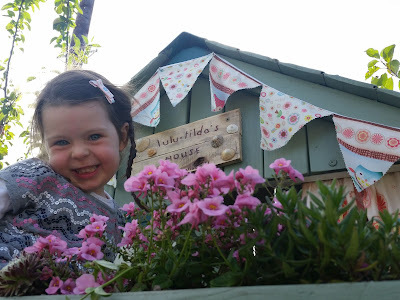 Daddy also made a lovely flower box for the front which we planted some alpines in. The final touch was a sign for the outside saying "Lulu & Tilda's House, No Boys Allowed" (although I will make allowances for my BFF Euan!) onto which we stuck some shells I had collected. 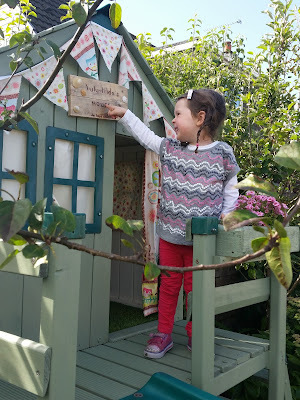 My new sign: Lulu & Tilda's House, No Boys Allowed!